Insurance Cover Your goods must be insured to their full replacement value for the complete duration of your storage period by yourself. Bank Payments You’ll need to complete a form with all your details and receive our bank details for you to set up bank transfer payments for your rental period. Your initial rental payment and security deposit needs to be provided by credit card, debit card or cheque. An Emergency Contact Number We will need an alternative contact name and number, in case of emergency. Insurance Gray deliver Ltd will allow you to store goods subject to you signing a Licence Agreement which states that they cannot accept responsibility for loss or damage to your property. As a condition of entering into a Licence Agreement, you must take out insurance, sufficient to cover the value of the goods stored. Gray Deliver offer secure, clean and dry domestic storage facilities. Our Beverley depot offers fully secured, containerised warehouse facilities that are available for either temporary or long-term storage of your household goods or personal effects. The Containers can cope with most domestic and commercial loads, we can approximately fit a one bed flat in one full sized storage unit container. We can arrange collection of your goods from your house or premises, or you may bring your effects to the warehouse, our professional trained staff will then pack them into a container. 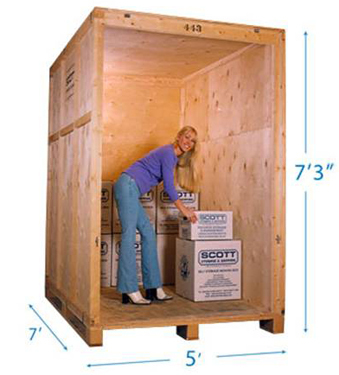 You may add or remove items from your personal storage at any time by prior arrangement (24 hrs notice). If you have a storage container with us, we will store your sofa outside your container, free of charge, to protect it from imprints and marks etc. Our warehouse holds over 100 containers.